Leo Vegas Casino will then reward you with a bonus (Welcome Bonus is for new players only). The terms and conditions of the bonuses vary between different casinos and might also change over time and between different countries, so it is important to compare the different offers and read the T&C for Leo Vegas Casino before signing up. Self proclaimed King of Casino, LeoVegas Casino may just not be that far from the truth when claiming this title. Launched in 2012, the casino has so far won several prestigious awards (Casino Operator of the Year, International Gaming Awards…) and established a firm position of a trustworthy operator with a great gaming selection and probably one of the most diverse Live Casino offer. The casino’s excellent reputation is further reinforced with LeoVegas licenses, issued by the highest gambling authorities – UK Gambling Commission, Danish Gambling Authority and Malta Gaming Authority. LeoVegas casino members will be able to play the latest and the most popular releases by NetEnt, NYX, Playtech, NextGen, IGT, Thunderkick… The games are divided into 7 different categories, according to the game type, popularity, release date and payout (Jackpot) and can be launched from both desktop or Android, Windows and iOS mobile devices. For those who prefer playing on the go, LeoVegas Android and Mobile apps are available for download. There are over 900 slots distributed across several categories – Slots, Classic Slots, Jackpot, Top and Newest Games. Launching the game is possible even if you are not a registered member, as most of the games can be played in fun mode, with a brief description and return to player percentage information available on the side. Gonzo’s Quest, Jack and The Beanstalk, Bonanza, 2 Fat Cats – The Lost Ark, Golden Fish Tank, Starburst, Wild Toro and Witchcraft Academy are only some of the titles that can be found under Top Games, while Newest Category is regularly updated with the latest releases. LeoVegas Casino also accepts sports betting, available for the account holders. All the details regarding the restricted countries and accepted currencies can be found under Terms and Conditions, together with the list of available sports, betting options, odds and other useful info. Majority of LeoVegas Live Dealer offer is powered by Evolution Gaming, Extreme, NetEnt, Lucky Streak and Ezugi. Live Tables are further categorised according to popularity, betting limits (VIP tables) and even the number of players allowed at the table. Players who like to remain focused on the game will be thrilled by the Chambre Separee category where you can play Silent Blackjack, while more extrovert casino members will particularly enjoy Celebrity Blackjack party. New members can benefit from LeoVegas Casino amazing Welcome Bonus offer, which can reach €700 in total. The promotional package covers first 4 deposits. The first deposit submission is matched with up to €50 bonus cash, second deposit entry is followed by €100, and finally, the third and fourth deposits are matched with the maximum of €200 and €300 bonus money. Withdrawals on amounts won with Bonus cash are subject to the playthrough requirements and before you can pull the money out of your account, the bonus will need to be played at least 35 times (x70 wagering requirement is applied on Live Dealer tables). Free Bets are awarded every day and Sports Blackjack table players can get €20 Bonus card that can be used on sports betting. The same Bonus card also qualifies the players for a weekly prize draw, where five winners will be receive €100 in cash. There are no limitations when the Free bet is concerned and you can use it for any of the sports available on LeoVegas. 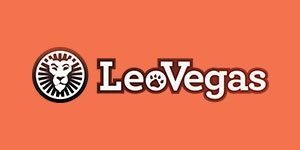 LeoVegas accepts deposits in dollars (Australian, Canadian, New Zealand), euros, British pound sterling, Swedish krona, Swiss franc, Czech koruna, Norwegian krone and Danish krone. Transferring the funds is conducted via major credit and debit cards as well as e-wallets and the players can use VISA, Maestro, MasterCard, Neteller, Paysafecard, Trustly, Skrill or even Bank Wire Transfer method to withdraw the winnings. The limit that you can take out of your casino banking account is €20,000 per month, with 24 hours pending period and up to 5 days processing time, if you have decided on the payment card as a preferred payment method. All the information you could possibly need can be found under the casino’s Terms and Conditions tab, however, considering the volume of data covered under this section, using Live Chat is probably a much better option. The agents are efficient, polite and quick to reply and waiting queue time is usually less than one minute. There is also an email address that you can use for complaints and inquiries, together with separate phone lines available for UK residents and international callers.